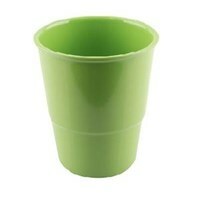 GLORI MELAMINE 808-280 ml Being Glass Green1 Box contents 192 PcsPurchase in multiples of 1 DusPlease check our wholesale price!!! 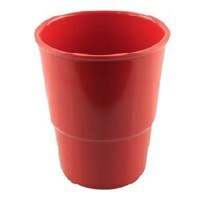 100% guaranteed cheapestGlass Melamine 280ml. Suitable for the use at home or in the Office as minun hot tea, cold drinks, or everyday drinking water etc. 280ml Melamine glasses is also suitable for children's drinking glasses because the size is not too large making it easy on the handheld. 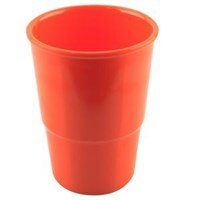 GLORI MELAMINE 812-large glasses of 400 ml Orange1 Box contents 96 PcsPurchase in multiples of 1 DusPlease check our wholesale price!!! 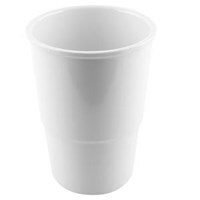 100% guaranteed cheapestMelamine cups 400 ml. Suited for the use at home or in the Office as minun hot tea, iced tea, cold drinks, or everyday drinking water etc.Strong, shiny, scratch-resistant, heat-resistant.Made for pemakain at a temperature of-20 c to + 120C. Buat Permintaan Untuk "Melamine Glasses"
Screw glass 220 ml Black (Dove) can complement your dining table. 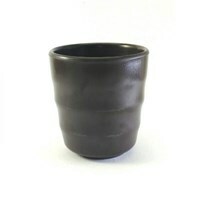 Can be used as drinking containers ocha tea, hot tea, iced tea, a variety of cold drinks, or drink water everyday etc. The glasses were also suitable for children drinking glasses because the size is not too big so easy to handle.220 ML BLACK GLASS screw (DOVE)Product DetailBrand: Glori MelamineMaterial: Food Grade MelamineColor: Black (Dove)1 Box contents 192 PcsPurchase in increments of 1 BoxProduced by PT. Multi Anugrah SuccessMade in IndonesiaSpecifications (Per Item)Diameter: 7.5 cmHeight: 8 cmWeight: 146 gramsexcellenceStrongshineScratch resistantMatch Quality: ISO 9001: 2008, ISO 7322: 2008Heat Resistant: Made for usage at a temperature of -20C to + 120C.DeliveryThis product Ready StockShipping: 4-5 business days to JabodetabekThe delivery time above includes 3 days time to process the fulfillment of these goodsclaims ColorsDue to the many variations of the device and browser monitor, the colors displayed on your monitor will be different. By doing so, we can not guarantee the color you see or colors displayed on our website will look the same on all devices.We do our best effort to ensure the colors shown on our website is the same color as the actual product.Rule ReturnsReturn / Exchange for Defective Goods or FalseYou can make a return if the product Melamine received in damaged condition or disability. Customer Service Glori ready to serve the return of goods to be exchanged. 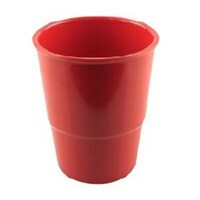 GLORI MELAMINE 808-280 ml Being Glass Red1 Box contents 192 PcsPurchase in multiples of 1 DusPlease check our wholesale price!!! 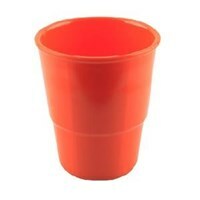 100% guaranteed cheapestGlass Melamine 280ml. Suitable for the use at home or in the Office as minun hot tea, cold drinks, or everyday drinking water etc. 280ml Melamine glasses is also suitable for children's drinking glasses because the size is not too large making it easy on the handheld. GLORI MELAMINE 808-280 ml Being Glass White1 Box contents 192 PcsPurchase in multiples of 1 DusPlease check our wholesale price!!! 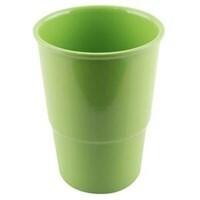 100% guaranteed cheapestGlass Melamine 280ml. Suitable for the use at home or in the Office as minun hot tea, cold drinks, or everyday drinking water etc. 280ml Melamine glasses is also suitable for children's drinking glasses because the size is not too large making it easy on the handheld.